This is a big feature. Right now you only support GitHub, which is the biggest open-source community out there. But a lot of developers are using GitLab for private projects. We (wemake.services) host all our open-source project on GitHub. But, most of our software projects are private and hosted on GitLab (both self-hosted and SaaS versions). While we really enjoy dependency upgrades in our open-source projects, our main projects are still upgraded by hands, which sometimes takes a lot of time. Do you consider adding new providers except GitHub? Thanks for the request. This is, indeed, a big one! Changes to dependabot-backend (private) to listen to use the GitLab API (when listing repos, asking for CI statuses, etc.) and listen for GitLab webhooks. There are a lot of unknowns here, so I think it's ~ 5 day's work. Whilst I'd love to promise the above is coming, right now I'm not working on it. Dependabot doesn't make enough to support me working on it in more than my spare time (our revenue numbers are in this interview and right now they're less than $1,000 / month), so I can't justify spending more than a few hours on it a day. I almost certainly will get to this eventually, but no in the next couple of months. Sorry! Hi @greysteil, I think the concept of Dependabot is very good. I have not come across it before and I wanted to get started right away. Until I came to the conclusion that there is no Gitlab integration. The consequence? I can not actually test it properly. I've read your above reaction (and the Indie Hackers blog post), and asked myself: what would @greysteil need to spend more time on Dependabot? Would a promise by X number of Gitlab participants be a good stick? Would it help if, for example, we pay a year in advance so that healthy cash flow arises? We, as @JCID, are always willing to pay for tools and I think many of our competitors. Thanks for these extremely motivating words @cafferata, and apologies for the delay getting back to you. I've been spending a bit more time on Dependabot over the last few weeks, and adding GitLab support is rising up my priority list. There are a couple of things ahead of it (getting Java support out of beta and fleshing out our security advisory sources), but I should be able to prioritise this soon. It would help a lot to have a list of companies that would be committed to pay for Dependabot if/when I do the work. Adding GitLab support will be a bunch of up-front work, but it's also likely to increase the maintenance burden for me on Dependabot, and I want to be sure that's worth it. If your company would be up for paying for a small org / unlimited account on GitLab drop a comment below, and I'll try to get to this a little bit sooner. @greysteil I am also very interested to see this integrated with gitlab. But except the technical part (get the files from the repo, create the commit etc...) it seems to me that there others things to clarify on the integration with gitlab. Do you have an idea of the way you would get the credentials needed for the repo and of the way to pay for dependabot since it seems linked to github marketplace for now ? I've asked GitLab previously whether they have any intention to build a marketplace and they've said "no". I don't use GitLab myself, so am slightly blind on the above right now. Obviously I'll rectify that when I kick off work on the GitLab integration! Hi @greysteil, I work for a small dev agency (~15 devs) that could really use Dependabot to manage our React/React Native dependencies. We use Gitlab atm so would be very interested in signing up if you add the integration. I couldn't find anything like this elsewhere, so I figured I'd write it up myself for others to work from. # See the github repo for the current most recent tag, and probably use that. gem "dependabot-omnibus", git: "https://github.com/dependabot/dependabot-core", tag: "v0.85.2"
Run bundle install to add/update your Gemfile.lock. # Uncomment this if you're using a different image for other jobs in the CI YML. In GitLab, create a Personal Access Token in the user settings, it'll need api access. Copy the token to your clipboard. This will allow Dependabot to create new merge requests using your user account (if you want to create a separate user for this purpose, you can do that too). In the project, go to the sidebar and select CI/CD > Schedules. Read more about Pipeline Schedules here. Right now, set the target branch to your dependabot branch, later you should change that to master. Add a variable named GITLAB_ACCESS_TOKEN, set its value to the Access Token you copied earlier. Save the schedule, and back on the pipeline schedules page you should see the schedule you just set up. Now, hit the "play" button to run it manually. If you've done everything correctly, it'll open a bunch of MRs that update your dependencies. Make sure to change the branch to master once the merge request adding dependabot has been merged. Side note: It may be a lot easier/better to just copy-paste the generic-update-script.rb file into your repository, rather than using submodules, and just occasionally check to see if you need to update the script to match the upstream. Unfortunately dependabot-script is unlicensed, so I don't know if there are any problems with that (or even with the submodule usage). Just note that this solution has the gotcha of creating a PR for every dependency, not only top level ones, so you end up with too many PRs, and thus you usually end up with a bunch of redundant PRs. I guess this can be fixed in the dependabot script, but I haven't looked into it. @connorshea Very nice documentation, it should really help people. I used the same process on Gitlab CI but since we work with PHP and node.js at my work, I put dependabot script and all ruby dependencies in a docker container. If anyone needs more details, I can take some time to outline them. @deivid-rodriguez On my experience, neither in php nor node we had redundancy problems, maybe it is specific for ruby. Our bigger pain point is when some big package like symfony framework do a release, it usually for all their packages at the same time, so we get 20-40 PRs at the same time. Using a submodule is definitely a good shout - in future you'll be able to set Dependabot to keep that submodule up-to-date and it will automatically handle breaking changes for you (there shouldn't be many, but we've got a namespacing change coming down the pipe this week). On license and top-level dependencies - I'll make those change to Dependabot Script now. Update: License added, and the script will now filter for top-level dependencies only. The only other major caveats right now are that this won’t update the MRs after creating them as Dependabot core doesn’t support this for GitLab yet, and that there’s no way to automatically have Dependabot merge the MR if CI passes. I added this workaround because files were not being cloned with the right permissions. I'm not sure why but I think it's because of https://gitlab.com/gitlab-org/gitlab-runner/issues/1736. I wonder if you could name it dependabot.rb and then run ruby dependabot.rb to have GitLab let you run the script? Yeah, that would probably work too. FYI, we've been making some changes to the structure of Dependabot Core that will affect anyone pulling it in using a script. We're creating separate gems for each language, tied together by the dependabot-omnibus gem (which will probably be renamed once the transition is complete). For now you probably want to switch references to dependabot-core to dependabot-omnibus in your Gemfiles. You shouldn't notice any other changes. 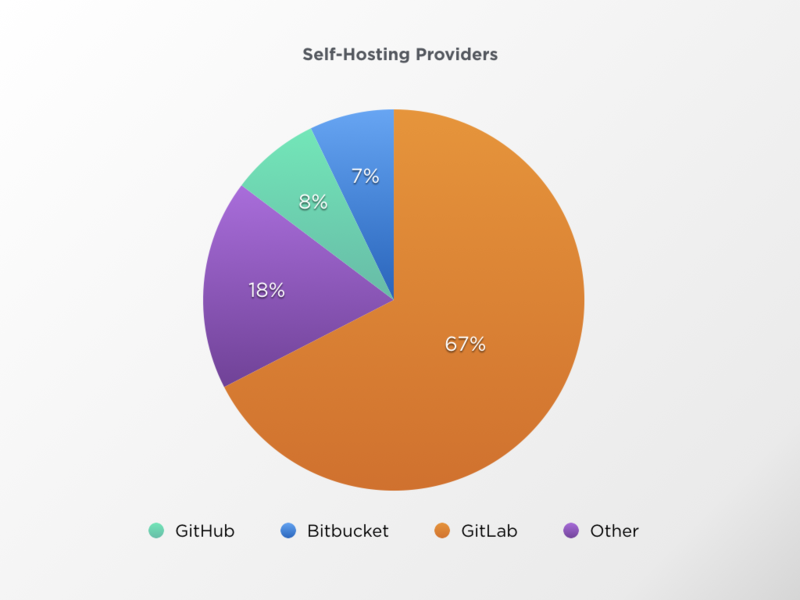 We self host GitLab with more than 90 .NET projects. GitLab's dependency scanner does not support NuGet at this time. I like your pull request system, and the idea of being GitLab/GitHub/Team Services agnostic. If I understand correctly, the hack above is to add Dependabot support inline to the CI pipeline of a single GitLab project. Is there a recommended way to add Dependabot to a private / internally hosted GitLab site for all projects? @gitfool you might be able to abuse GitLab CI YML's import functionality, but generally I'd say no there isn't. @gitfool @connorshea Did you take a look at the dependabot/dependabot-script? You definitely can use this repo to check update for many repo, and there is even a .gitlab-ci.yml example. Sidenote: @LeoColomb is the purpose (or one of the extra benefits) of #986 to support this use case more easily? Yes, it is. Reduce runner usage, more flexibility and isolation, speed up builds. We would be interested in gitlab support. I'm interested in GitLab support as well! I played around with the scripts at dependabot/dependabot-script and was able to get merge requests working in GitLab as a toy experiment. In the end, I can add the following to any project's gitlab-ci.yml with the PACKAGE_MANAGER_SET and PROJECT_MANAGER variables set in the CI\CD variables. In the end, your problem will be that many GitLab instances you will not be able to access unless you are on premise or they open their firewall (which may not be likely). An alternative approach is that you can make a nice GitLab template that requires some license keys or something and allow your customers to run that template on a project by project basis on premise. I think this is a really great way to get something out quick without having to create some on premise server that customers can use that is similar to your fully featured Dependabot GitHib solution. You've already done a lot of the work and I hope my code above gives you some good ideas!